Beginning today and all year long, friends and loved ones near and far can send a virtual hug—and help Build-A-Bear reach its goal of sharing 1 million virtual hugs in 2019—using the newBuild-A-Bear bear hug GIFs! 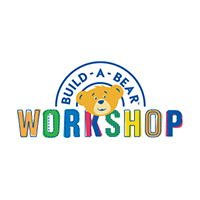 Whether someone needs a "Heartfelt Hug," a "Bear Bump" or a "CeleBEARate Hug," Build-A-Bear has "all the hugs." The new GIFs can be shared via social media, text or other messaging platforms with popular GIF keyboards by searching "Build-A-Bear." 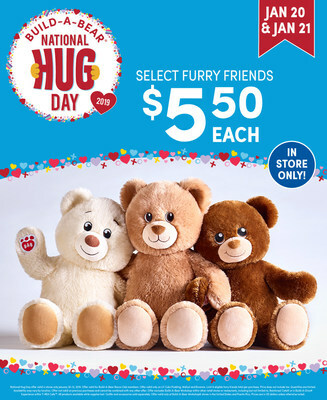 The GIFs are also available to share or download directly from buildabear.com/NationalHugDay. Build-A-Bear will continue to add new bear hug GIFs to its collection throughout the year! Fans are encouraged to stay tuned to the brand's social media channels for more virtual-hug fun.